If you are the kind of person that enjoys Nazi Zombies (CoD), a game where there really isn't any story and you will never win- you will die- it is just a matter of "how long will I endure this game?" then this game is very much for you. It is a game based around very little actual substance (ie. get guns, get bullets, shoot zombies, survive as long as possible- 16 guns total) and very similar concepts (build house, get firewood, kill deer, survive as long as possible) in which you will either watch as you city all dies out (a real possibility, almost a 100% probability the first half a dozen times trying the game) or you will watch as your game lags out and crashes when your city gets too large (which isn't very large, 1,200 combined population) which is a guarantee. If you are the kind of person that would rather play Left 4 Dead, a game with actual story that you can actually win with much more depth across the board then this game is so, so, so, so very not for you- Keflings had more depth and content than this game did (plus COOP, so sad!). This is a 0/5 game, I wouldn’t recommend buying it unless it was under $5 or was free to play. The game costs $20 currently on Steam, so just wait for it to go on a 50-75% off sale if you are that curious about playing it. $20 for this game is just madness. Honestly I could go on for hours on this one point as it really is all inclusive- do you like to ‘win’? The answer to most really isn’t clear as some would say ‘yes!’ only to list off activities/games they love that don’t have endings and others saying ‘nope!’ and listing off things like chess and sports as activities they enjoy. The question could be poorly asked but there really isn’t a better way to ask it; the only way to really get at what people like is to compare. In this case (Banished) the best thing to compare to is Call of Duty; Nazi Zombies vs. Left 4 Dead. What?! Did he just do that?! Yes, yes I did, and here is why: most people like one or the other, not both. The game they liked the most is the answer to the “do you like to win?” question. If you are the kind of person that enjoys Nazi Zombies (CoD), a game where there really isn't any story and you will never win- you will die- it is just a matter of "how long will I endure this game?" 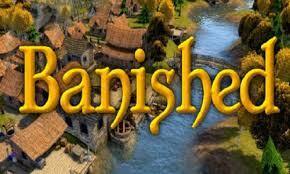 then this game (Banished) is very much for you, and you are someone who “does not like to win”. Banished is a game based around very little actual substance, to compare: CoD Nazi Zombies you get guns, get bullets, shoot zombies, and survive as long as possible with 16 guns total vs Banished with very similar concepts of build house, get firewood, kill deer, survive as long as possible with 16 buildings total, in which you will either watch as you city all dies out (a real possibility, almost a 100% probability the first half a dozen times you end up trying the game) or you will watch as your game lags out and crashes when your city gets too large (which isn't very large, 1,200 combined population) which is a guarantee. If you are the kind of person that would rather play Left 4 Dead then you are a “like to win” kind of person. Left 4 Dead is a game with an actual story that you can actually win (has an ending) with much more depth across the board. If you are the kind of person that needs depth, and endings with a “loser and winner”, if you liked Left 4 Dead then this game is so, so, so, so very not for you- as another comparison the game Keflings had more depth and content than this game did (plus COOP, so sad!). Simply put the AI (programing) in this game is terrible. Things will happen that doesn’t make a lick of sense, such as a family of 1 person (yes, one person) will steal a house from a family of 7 and watch as those seven people freeze to death outside or one family steals the entire cities supply of food and watches as everyone starves to death and the people do just that, starve to death, they don’t go in and steal back the food. The list is long and inclusive of AI failures and inconsistencies but instead of wasting breath (you get the idea right?) you are either the kind of person who would overlook these issues (by making excuses for them or just ignoring them) or you are the kind of person that wouldn’t overlook them. Picture Nazi Zombies and you go and buy yourself some more ammo, but instead of it giving you ammo it gave it to your friend, or gave you some bubble gum instead- that is this game. You either laugh your butts off while loving the game for it or you don’t. If you don’t then this will bother you. As said above: If you are the kind of person that enjoys Nazi Zombies (CoD), a game where there really isn't any story and you will never win- you will die- it is just a matter of "how long will I endure this game?" then this game (Banished) is very much for you, and you are someone who “does not like to win”. Banished is a game based around very little actual substance, to compare: CoD Nazi Zombies you get guns, get bullets, shoot zombies, and survive as long as possible with 16 guns total vs Banished with very similar concepts of build house, get firewood, kill deer, survive as long as possible with 16 buildings total, in which you will either watch as you city all dies out (a real possibility, almost a 100% probability the first half a dozen times you end up trying the game) or you will watch as your game lags out and crashes when your city gets too large (which isn't very large, 1,200 combined population) which is a guarantee. Bottom line is that you have to enjoy watching your cities die, simple as that. If you want to just see “how long can I survive?” over and over again and you love that concept than you will love this game; EXACTLY like those that love CoD Nazi Zombies love that game. As said above, if you like games or city builders where you “win” and there is a purpose than you will not want to replay this game- just like you wouldn’t ever want to replay Nazi Zombies. As said above, if you like games where you can’t possibly win and the point is just “survive as long as possible” then much like Nazi Zombies you can sink as many hours in as you possibly can handle. The controls in this game are top notch, from camera movement to placements. As far as any city building sim is concerned this game has controls that work. Zoom in, zoom out, move around, etc etc all easy to handle and easy to control from top to bottom you will not have any problems/complaints about the interface of the game. The game runs without hitch or problems if you never actually “survive”, ie. Your city never grows. As your city grows lag grows and eventually game crashes/becomes unplayable. If you want a large city (anything over 800 total population will generate risks and 1500+ you will crash and burn) this game is unplayable in its current state with no changes in sight. As such if you want to stay low population and high disasters you will be 1/1 and if you want large cities you have an unplayable game, 0/1. I should really break this up between “winter vs summer” because the two are so very different. In the summer time (spring-autumn) the game looks amazing and the buildings themselves have soul and a heart that captures the time period. Each house has multiple looks (other buildings only have one layout, just the houses have multiple looks) which adds some much needed variation (but not enough!). Without winter this game would have a .75/1, the .25 would be taken off due to the otherwise sparse selection of variations- after a while everything will look the same and you will only be building the same things over and over and over again so it becomes more black ink on white paper. However, the winter time graphics in this game are terrible, top to bottom and bottom to top they are terrible. You will not be able to see anything, roads included, you will not be able to build anything because of that fact and the land just becomes a white lifeless and soulless canvas with nothing added to it to make it breath- no snow ball throwing, sledding, Christmas decorations, NOTHING to add any sort of life to the game, just blah! As said above in the “Left 4 Dead vs Nazi Zombies” this game as no story and no development; you just survive as long as possible. The game is designed to keep population down and development as small as possible due to lag as city grows, which means story/development are obviously not on the drawing board. If you play other city building sims, any of them, Keflings included, this game will come across more like a Facebook game than an actual competitor for “Best City Builder of the Year”. If you don’t play many, or any at all, this game takes the most common features of all city building sims and throws it together much like CliffsNotes- you get some of the best of all the city building games while bringing nothing new to the scene. There is none, what you do when you first begin is what you do when you put down the mouse and keyboard; survive as long as possible building houses, gathering huts, storage barns, wood cutters, blacksmiths, foresters, hunting lodges, tailors, herbalists, and schools, in that order, over and over and over and over and…………….. Enough songs and sounds to please the masses but not enough to impress. You hear a “mooo” for cows and a “chop chop chop” for the wood cutter but not “life”- everything sounds so ambient. This was the same problem I had with Fallout Vegas vs Fallout 3- in FO3 if you heard an explosion it wasn’t just ambient noise, something/someone nearby was ACTUALLY exploding, where as in New Vegas it was just ambient noise. The problem with that is that the sound is supposed to bring your game to life, not lull your audience to sleep. Most of the noise in this game is simply that, ambient, no villagers arguing with each other, or hearing a wild boar kill one of your villagers (you just get to read text saying that a villager was slain by a wild boar that you cannot even see on the map?). More life less ambient would have made this a 1/1. As said above: Banished takes the most common features of all city building sims and throws it together much like CliffsNotes- you get some of the best of all the city building games while bringing nothing new to the scene. If this game was in early access I would highly recommend, which honestly most of these high reviews are from when the game was in early access. The problem? This game is NOT a finished game, and if it is then it is grossly overpriced.